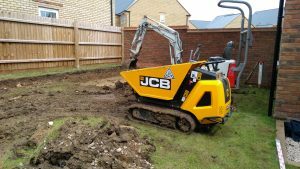 Based in Northampton McHale Building Services provide operated plant hire, groundwork and civil engineering across Northamptonshire and surrounding counties. Specialising in narrow access and tight construction jobs, most of our operated plant can fit through a 750mm wide opening to make light work of all excavation and hard landscaping work. With many years of experience and a vast knowledge of all areas of building and civil engineering we have the skills to carry out our work to the highest standards. Why Choose McHale Building Services? Fully insured and all CDM responsibilities carried out. Fully trained and competent machine operators and excellent groundwork staff. Value for money, we carry out works in a well organised way to minimise costs for each job. From narrow access mini diggers and dumpers to larger machines. We can provide an excellent operated plant service. Our smallest machines can fit through a 750mm wide opening. 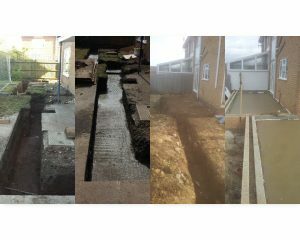 Footings for extensions, garages, new builds or drainage for foul and storm water. 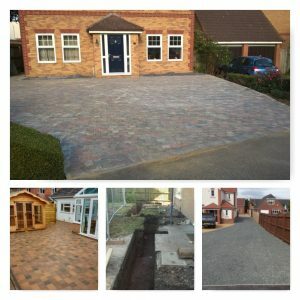 We can carry out a wide variety of work for your needs. 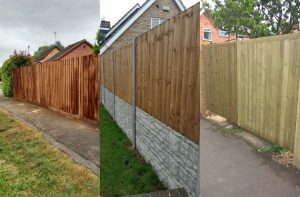 Panels, closeboard, post and rail, security fencing, gates and more we can install all types of fencing to suit your needs. By email or telephone we are always ready to discuss your needs.